Bluewhite64 is an unofficial port of the world famous Slackware Linux distribution built and optimized for the x86_64 architecture. When I first heard of bluewhite64 I was quite anxious to test it. With the release of pre-11.0-beta on July 3rd this seemed like the perfect time. As stated, pre-11.0-beta was available at the time of our testing and downloading was swift. md5sums checked out and the install went well. The installer is the exact same installer found in Slackware as far as I can see. There may have been some differences in the available packages, but otherwise it contained the same steps presented in the familiar Slackware installer. It does stop during package install and ask for the 2nd cd, then precedes. First boot went like clockwork as well. The only errors listed were insignificant or concerning extraneous aspects, such as chown /proc/usb/001/002 fails because it didn't exist. I say insignificant because the usb peripherals worked fine. An xorg configuration file is present, if a bit on the conservative side, and a "startx" brings up the KDE 3.5.3 desktop (if chosen as default during install). 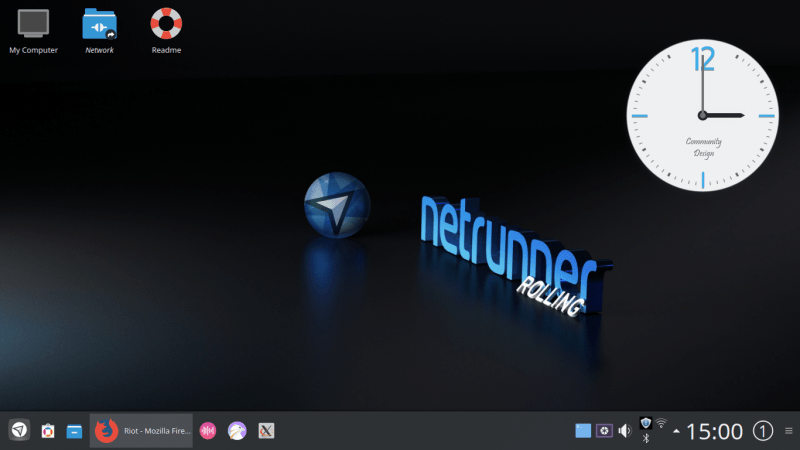 The KDE 3.5.3 desktop is a complete but default environment. It sits in xorg 6.9.0 and comes with gcc 3.4.6 and all the KDE applications available from the KDE developers. They are listed as per usual in KDE structured menus. Every application tested seemed to function as designed here except krita that was listed in the menu but would not open. Kooka did fine with my detected and autoconfigured scanner. Also among the full compliment of Kapps is The GIMP. There existed a kernel bug that affects sound and nvidia driver installation, so I headed on over to kernel.org, downloaded linux-2.6.17.2, and built it using Bluewhite's configuration file as a starting point. Not present (or overlooked on my part) in /usr/src/linux-2.6.16.22, but found as /boot/config-generic-2.6.16.22. cp /boot/config-generic-2.6.16.22 /usr/src/linux-2.6.17.2/.config and then make menuconfig. One could probably skip the menuconfig and just do a make oldconfig if they didn't wish to take out a lot of the support developers include for a wider user-base. Kernel configurations can be a bit scary to a new user, but as you go through the menus, you know your sound card or graphics chip. My advice in this case to new users is to not mess with the filesystems, net stuff, block devices, or anything that sounds greek to you. But there's no reason you can uncheck all the hardware you know you don't have. After the configuration (menuconfig), just type make. Next, type make modules_install. The next step might require some thought, but most people can just type make install and boot their new kernel. At that point I had working sound and not only did arts stop complaining, but my multimedia applications blared to life. BlueWhite64 comes with Juk, Amarok, and KsCD for your musical inclinations as well as gxine, noatun, and kaboodle for your viewing pleasure. It also has KAudioCreator for cdripping. I had no trouble with audio cds, avis, or mpegs. Browsing can be handled through Seamonkey 1.0.2, Firefox 1.5.0.4, or Konqueror 3.5.3. Also included, but perhaps not seen in the menu are lynx and links. The browsers function really well and the fonts look good, but there is no flash or java included. Other net apps include gaim, Pan, Thunderbird, NmapFE, gFTP, and XChat. Office applications are handled in the most part by Koffice. If KDE is not your favorite, you also have the choice of xfce4 4.2.3.2. Like KDE it is found in almost its default configuration. All in all it was a good system. It was an easy install and required no configuration (subsequent releases will probably not need the user to upgrade the kernel), although I did tweak my xorg.conf. My usb devices worked out of the box and sound came right up after the kernel upgrade without further configuration. The included apps make for a wonderful foundation and most are of the latest release. The stability wasn't compromised for these bleeding edge improvements. No application or system crashes occurred. However, I didn't notice an amazing speed increase. It seemed to be a bit faster, but not as I imagined. This may be in part to my choice of filesystem. I chose ext3 while the installer seemed to want to default to xfs. Perhaps choosing reiserfs or xfs would have made a difference. Don't get me wrong, there was no delay in any menu operations or window repainting and apps opened promptly enough. It just didn't leave any burn marks as experienced with kubuntu. If you'd like to try BlueWhite64, it can be downloaded from one of the mirrors listed here. You can keep abreast of developments at BlueWhite64's homepage here. If you are a fan of Slackware and have a 64 bit machine, you owe it to yourself to give Bluewhite64 a try. Can we have ONE review without an Ubuntu reference? Submitted by Spinlock on Sunday 9th of July 2006 09:55:20 PM. In any case... when I upgrade my lappy to a Turion, I'm definitely doing this. Hopefully, I can finally create that 64-bit Slackware-based livecd I've been talking about. Submitted by srlinuxx on Sunday 9th of July 2006 11:51:17 PM. <scoffs> Why Noooo! You should know better than that. Silly you!